As one of Wellington’s most recommended real estate agents John and I meet many people in our job, marketing and advertising homes as well as meeting buyers throughout the day and we are often asked about the pros and cons of downsizing from a large family home to a more manageable size city property or maybe a lifestyle property up the coast. A smaller home may likely cost you less, this can free up money every month to spend on things that you really want. It’s not just the lower mortgage payment that will save you money, though. For instance the difference between the maintenance and cost of heating a 210sqm home versus 110sqm home would likely be significant. These things add up to major savings over the years. Just as important as having extra money to spend every month, is knowing that you’re living a more fulfilled lifestyle, not one mowing lawns, painting weatherboards, making or paying someone for repairs and regular remedial work. Downsizing can mean giving you peace of mind in the event you have a major financial setback like limited mobility, being unable to work, losing a job, or having a medical need. 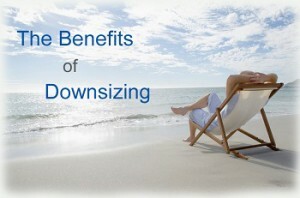 Have you noticed your friends and neighbors talking about downsizing their homes? Whether their decision is the result of a life event or a need to live more simply, more and more people are realizing every day that many advantages exist when you live in a more manageable space. If you’re trying to decide whether downsizing is the right move for you and your family, here are some things to consider before taking the plunge. The larger the home, the more you have to maintain. Houses, no matter how new, require consistent care. People downsize for several reasons, whether recent empty nesters, divorces, lifestyle adjustments or simply to save on expenses. The nice part living smaller is less to worry about in interior and exterior care and cleaning, meaning you have more time and money to spend doing other things. Large, spread-out floor plans often leave people going in their own separate directions. Families and roommates that live in cozier situations often talk about the ability to spend time together and bond. It’s perfect for learning to co-exist with one another, and grow closer in a way you may not have before. If you’re an eco-conscious person, downsizing your home will make you feel good. Less space requires fewer resources. 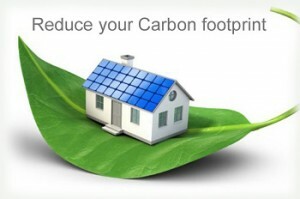 You’ll reduce energy consumption markedly. It’s a win-win for go-green fans and the Earth. People who are going through a major life change like children leaving the home, divorce, or loss of a loved one often find a change of scenery refreshing. Living in the same house can bring up painful memories and elevate depression. Downsizing has its perks. You can choose to live in a place that includes maintenance, or even a townhouse or similar where there’s less exterior care. Plus, with a new space comes the opportunity for a new outlook, something that can be extremely important and mind revitalizing. 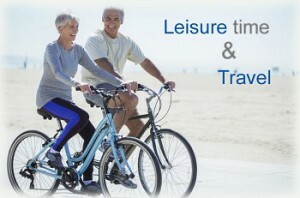 By increasing savings and decreasing time spent on home maintenance, you increase the ability for leisure time and travel. Not only can you close up shop easier and take off for a bit (especially if you go with an apartment or similar), but if you’re saving from the downsize move, you can put that money towards yourself. Downsizing your home can involve moving to the heart of the city. What you lose in space you gain in new, exciting things to do nearby. City areas are lively, dynamic, and full of walkable options for art, music, food, culture, and other types of attractions. The trade-off is ideal for those looking for a boost in activity. • In many cases, a lower mortgage. 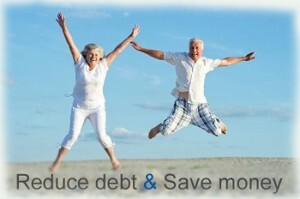 • Ability to use increased savings to reduce debt, improving your overall financial position. • Improving your overall lifestyle. When facing a decision about downsizing your home, ask yourself these two questions. Will it improve your finances? 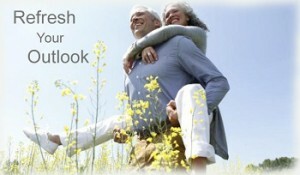 Will it improve your lifestyle? If your answer is ‘yes’ to both of these questions, you need to make the decision. 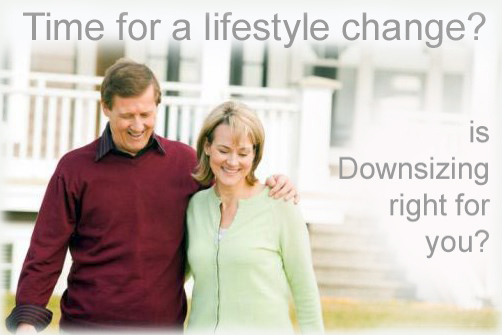 There is no set age to downsize – some empty nesters choose to downsize in their 50s. Others prefer to stay on in their family homes longer and others until they feel it’s time to move into a retirement community. Some couples take a few steps from the family home to smaller easy care home and then maybe an apartment in the city, before eventually settling in a retirement community. There is no right way or wrong way to downsize – it’s what’s best for all concerned that matters most. 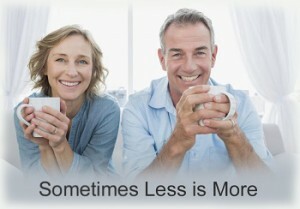 If you’re convinced that downsizing your home is the right option for you, contact Halina and John today who will be happy to visit your home to help with what things should be done prior to selling and as well provide you with a free market appraisal and help you sell your current home, so you can get moving into the next chapter of your life.